LOVE these red pants! They will work for summer and fall! Coming over from the link-up. 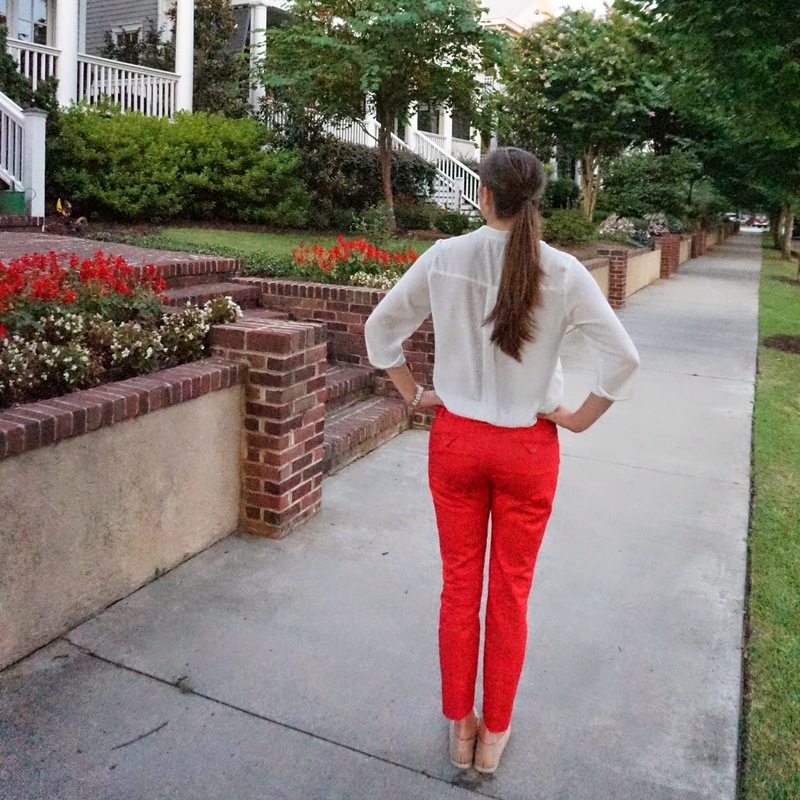 Those red pants are great and a perfect closet staple!